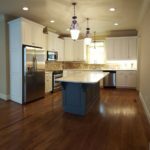 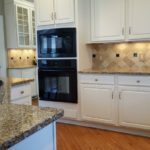 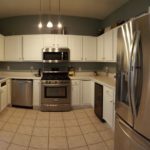 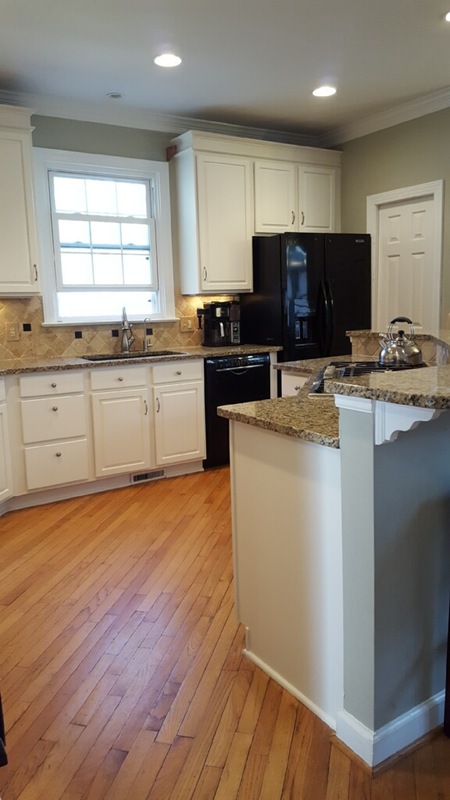 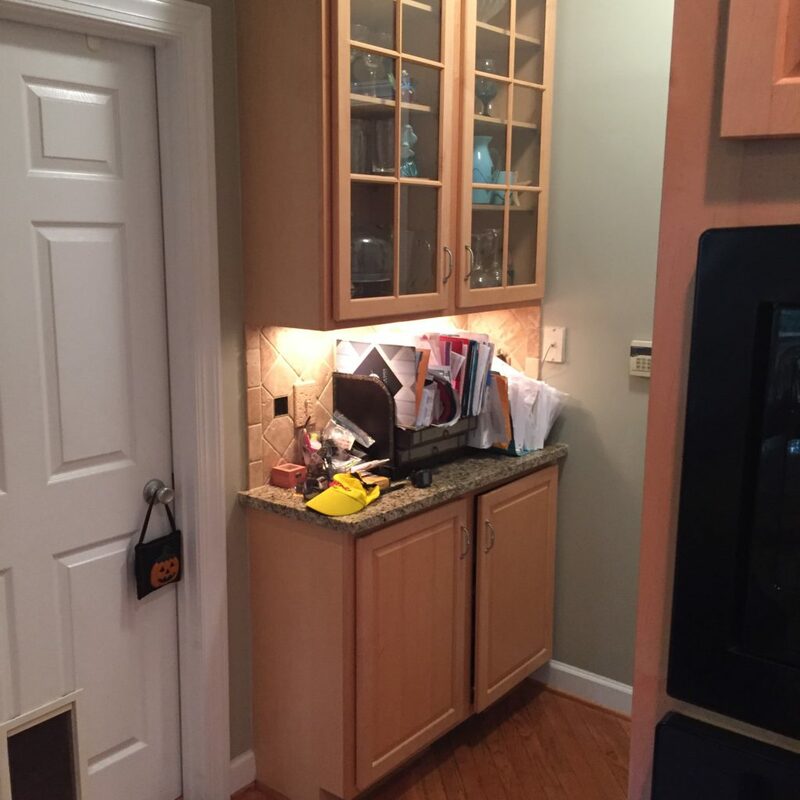 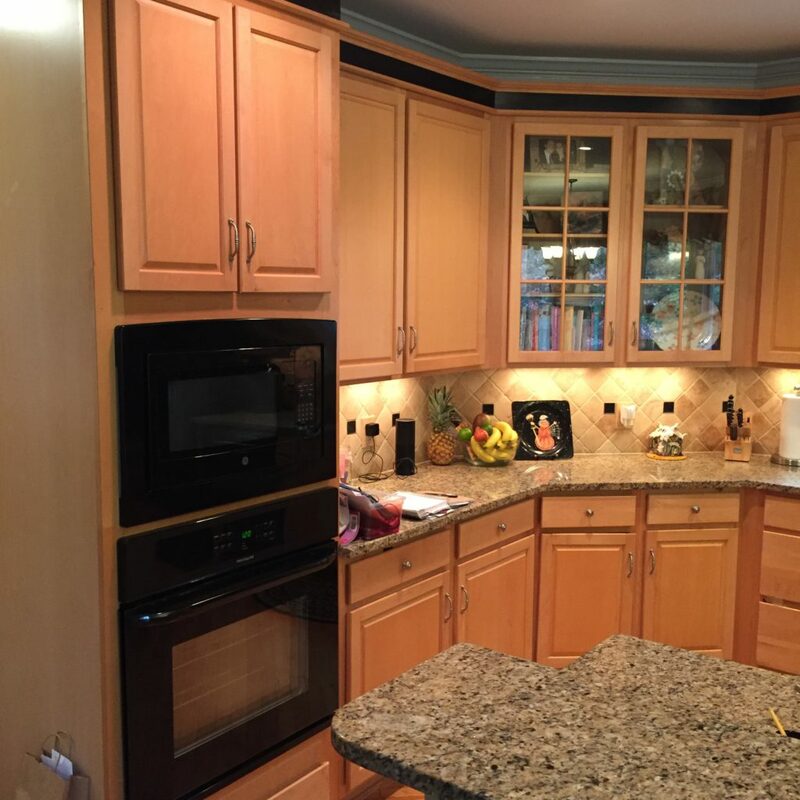 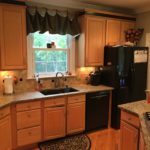 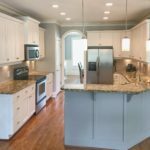 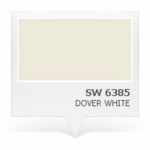 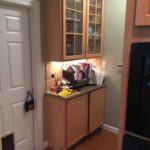 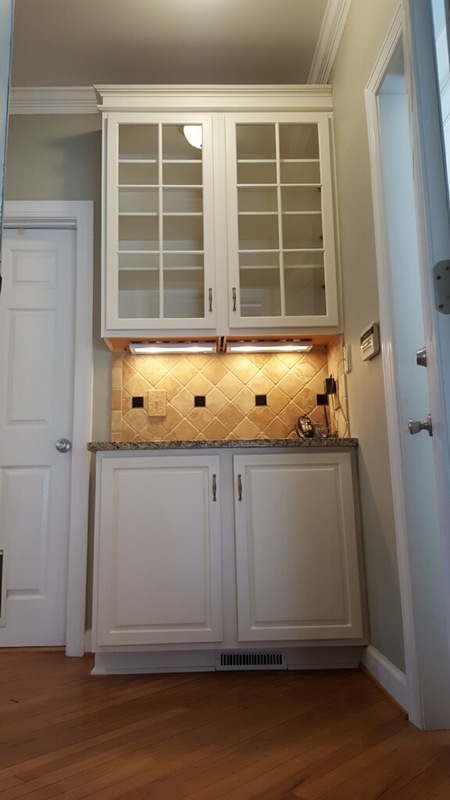 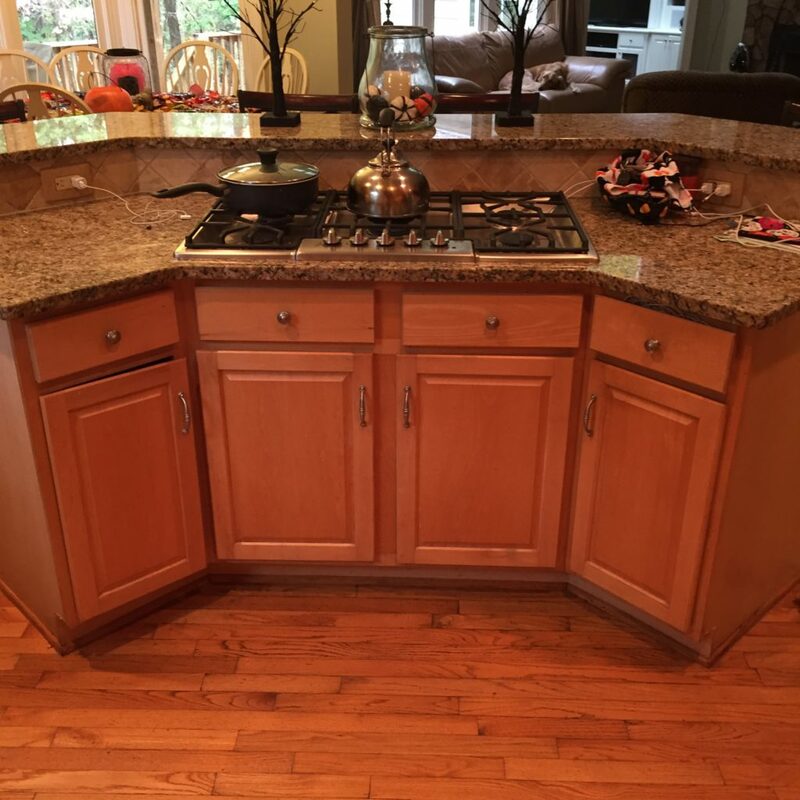 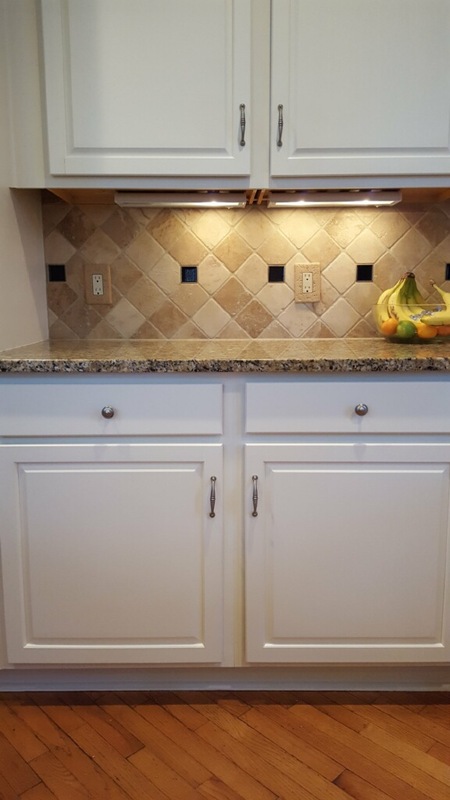 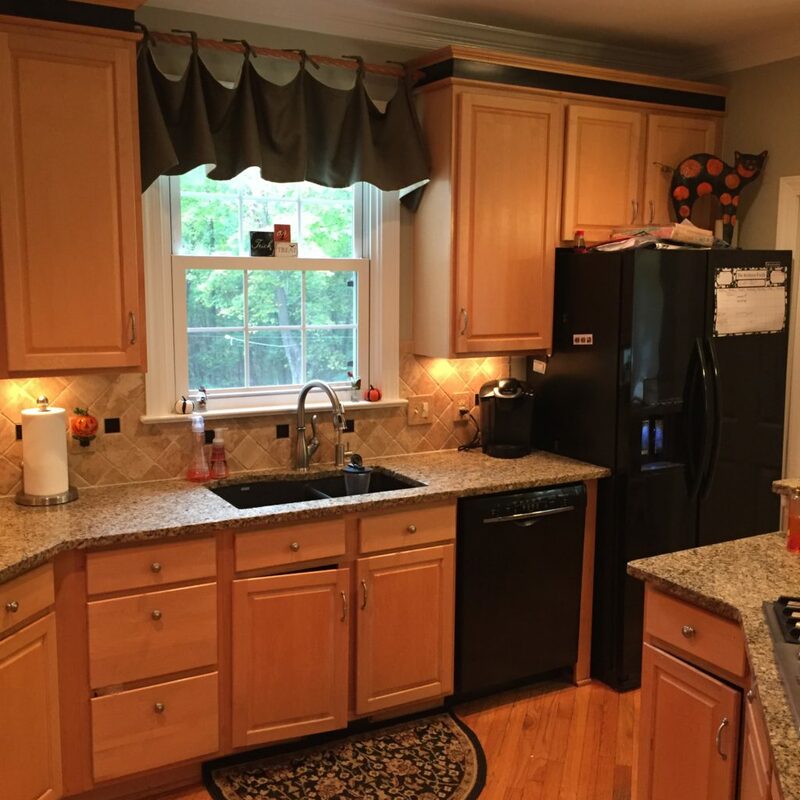 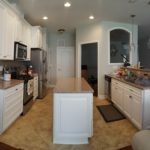 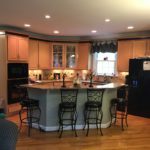 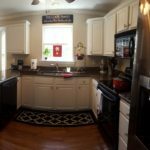 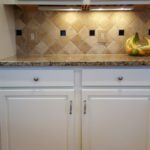 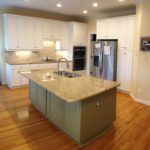 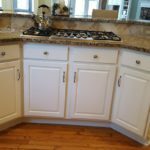 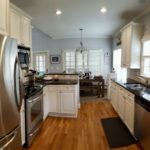 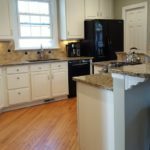 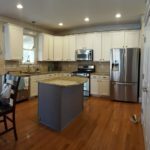 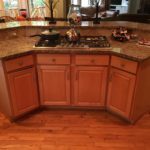 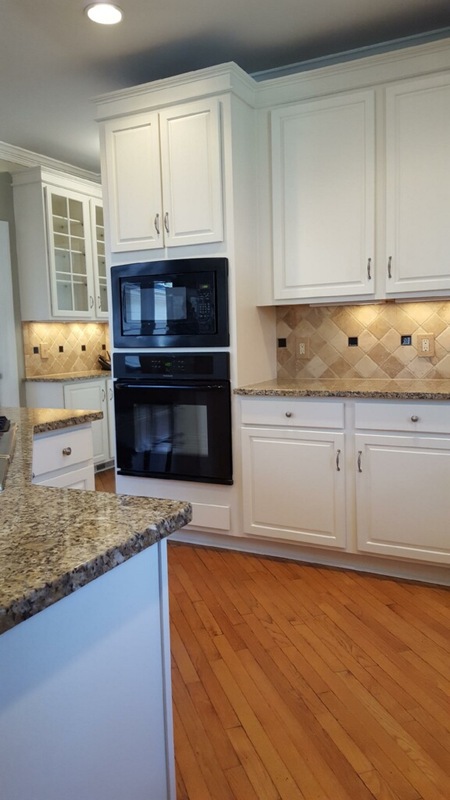 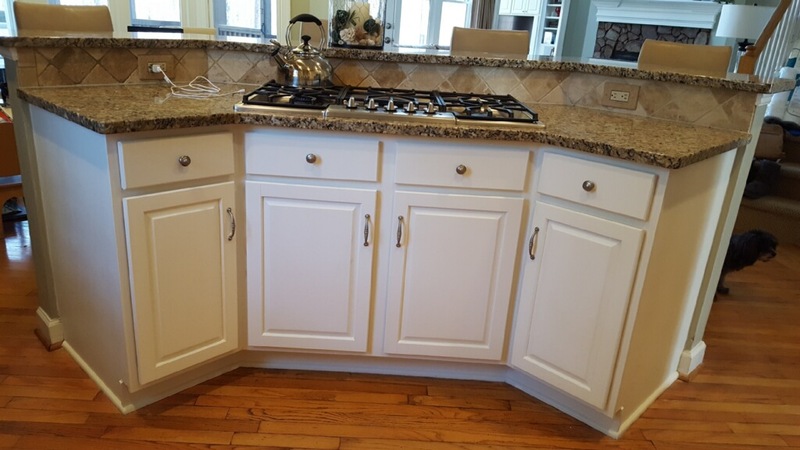 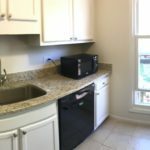 Dover White was chosen to soften the look of these kitchen cabinets. 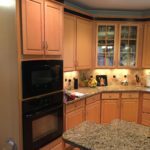 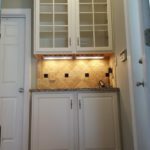 The maple cabinets were solid and in great shape, but the finish had turned orange over time. 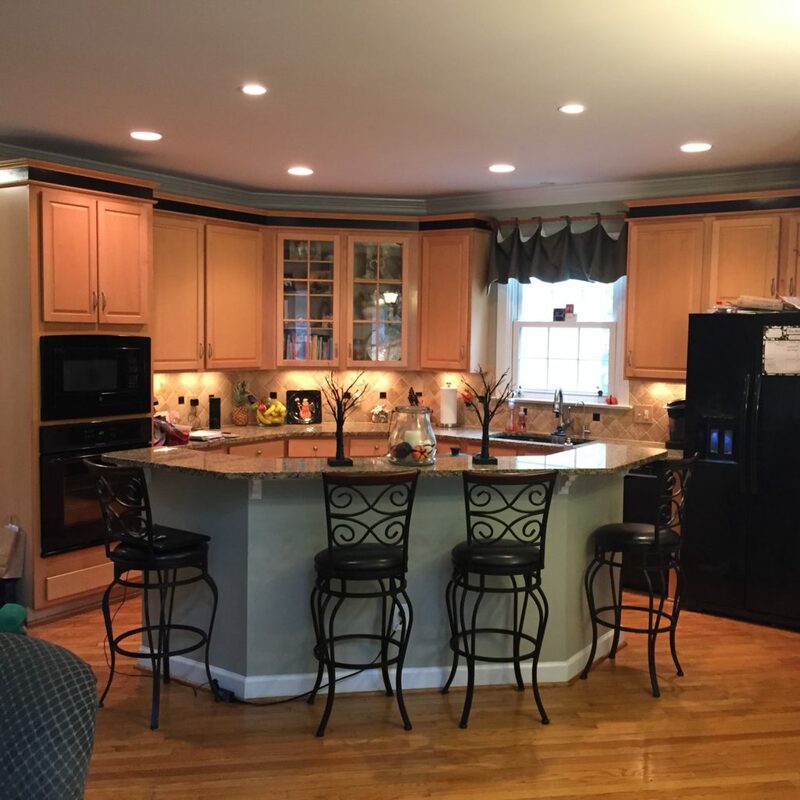 And the black crown moulding trim helped to date the look even more. 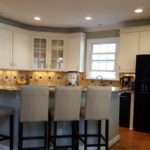 The solution was to lighten them up and help them blend in with the trim in the home. 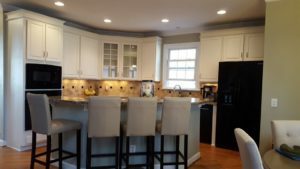 Now the look is fresh and new.